UPDATE: We are set to open Monday 8/13 and will start seeing patients at our new location. To schedule just call our regular office number! 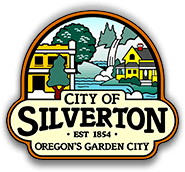 In partnership with Legacy Silverton Hospital, we will be opening a satellite office in August bringing pediatrics to the Silverton community. We plan to have two providers along with a member of our Behavior Health team working there each day rotating with our main Salem location. All scheduling and administrative operations will remain at our Salem location. You can schedule with us using our same main phone number at (503) 364-2181. Most of our services will be offered there, same as our main location. Renovations of the space are now underway and we look forward to opening soon.